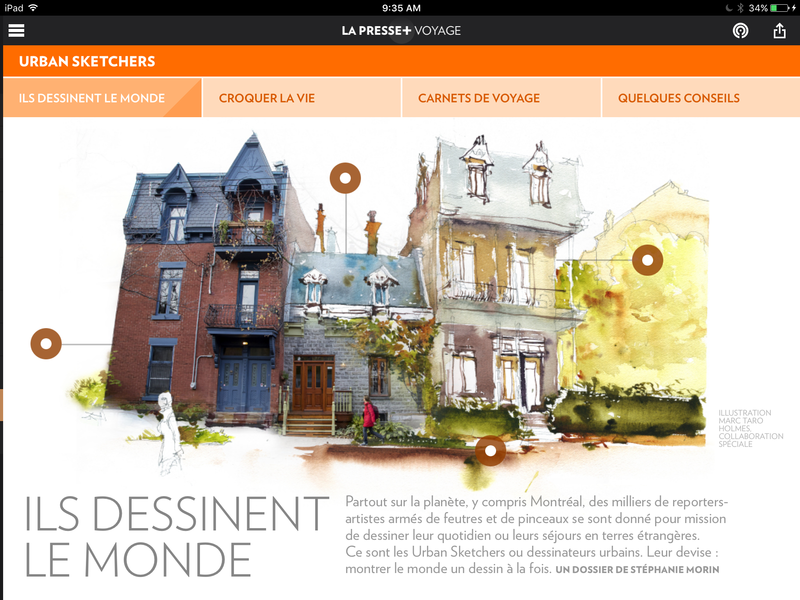 [By Marc Taro Holmes in Montreal, CA] If you download today's issue of La Presse (Sat Nov. 12) available for free on the Apple App Store, you'll find a terrific feature in the Voyage section all about Urban Sketchers Montreal! 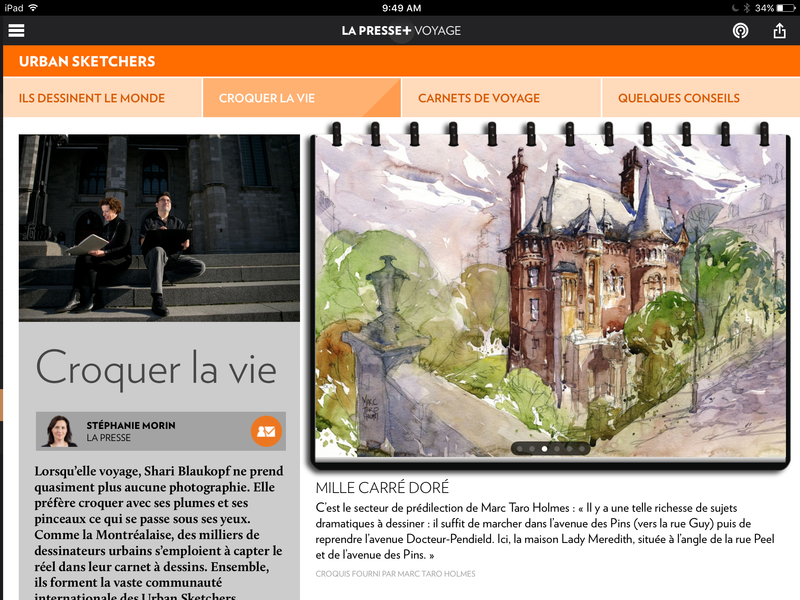 I believe issues of the paper stay in the app for a week, so you'll have to check it out soon to read the article. (French language). 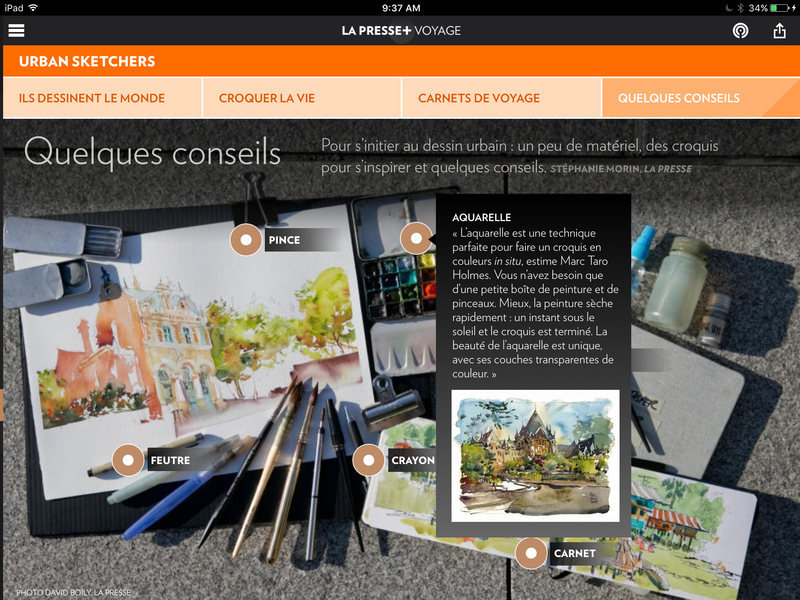 The app allows for some neat interactivity, including a pop-up drawing showing before and after versions of one of my sketches and the 'real world' - as well as a fun section on supplies, where you can click on various tools and see explanations. 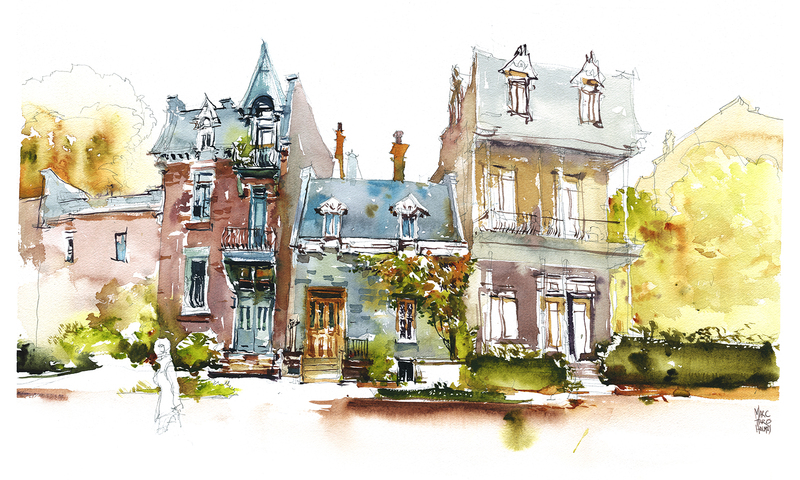 The article expands on the world-wide urban sketching phenomena, featuring a gallery of some of the top sketching cities in the world. 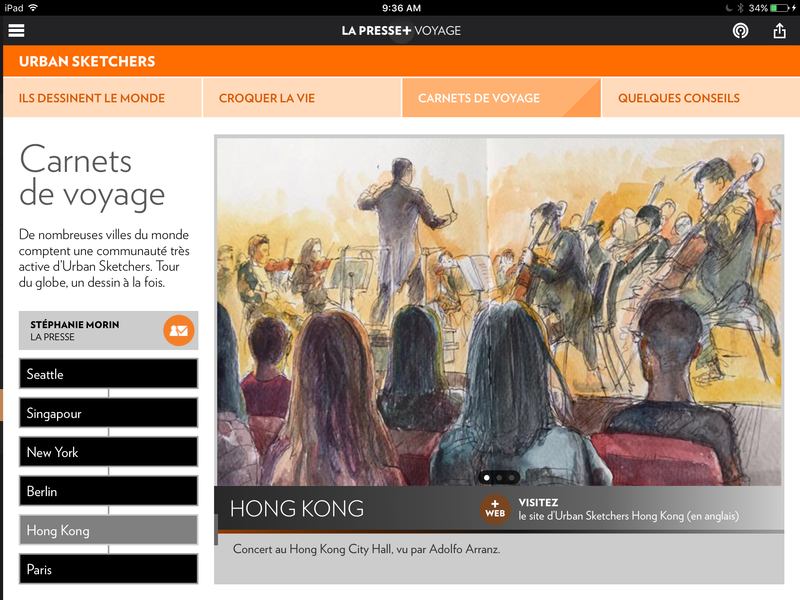 (Seattle, Singapore, New York, Berlin, Hong Kong and Paris). Have a look if you know anyone in those towns - they might have a sketch in our paper!